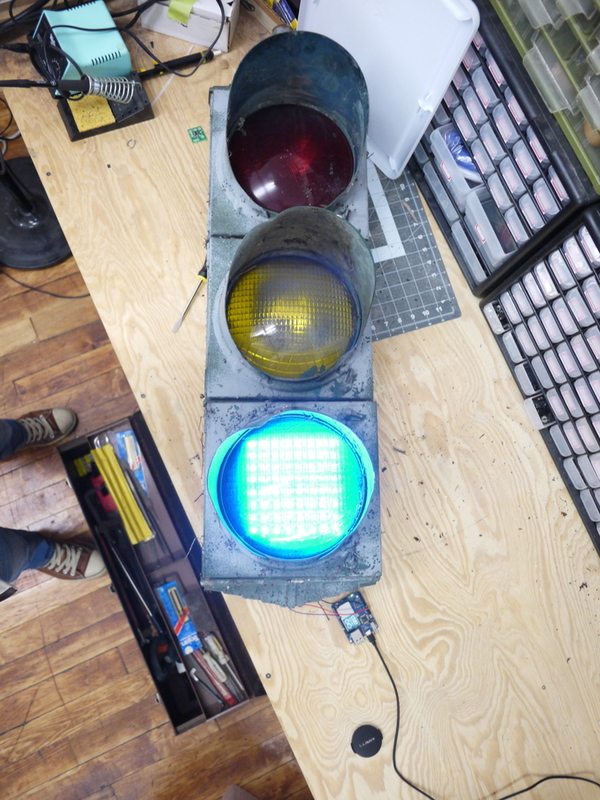 A traffic light was found by one of our members and some tinkering has begun. The spiders and old weeds were (almost) brushed off and a led matrix was added to the green light. 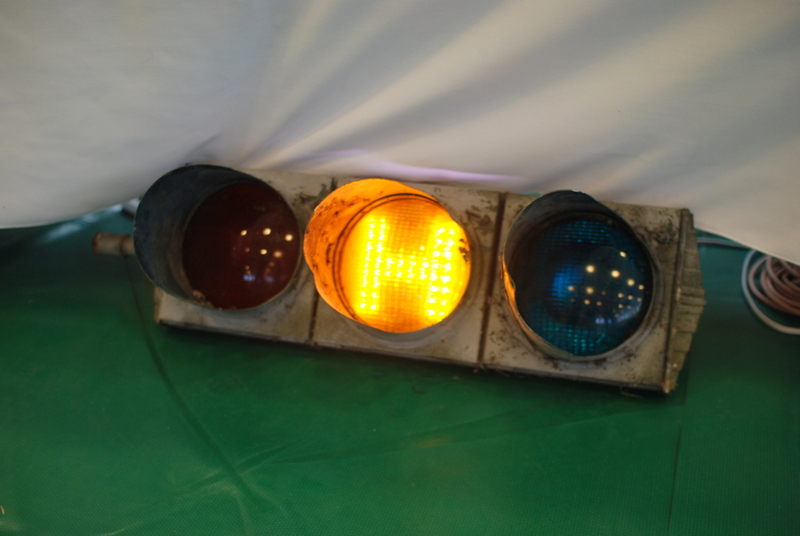 Funnily enough, it was discovered that the green light in fact was blue! Next steps will be to add more leds to the other lights and connect it to the internet! It was used during the Cambridge Science Festival to display words and mesmerized everyone who walked past.